Using the exact same platform as Thunderstruck mobile slot, Ladies Nite slot on mobile has been re-skinned with a theme made to appeal to the hen night generation. Cocktails, half naked men and disco balls, Ladies Nite mobile slot uses every pink slip in the book. The graphics are a little bold and brash, though we can’t help but giggle along with the sound effects as your half naked male scatter symbol offers you up drinking shots. Yes it’s that kind of theme. Which we very easily forgave, as with 5 reels and 9 paylines, it plays just as well as Thunderstruck and has the exact same bonus features: free spins, gamble and wilds. If you are not familiar with the original Thor themed slot, don’t worry, we will give you a little more information this side around. 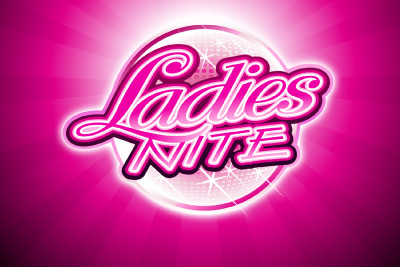 This Ladies Nite slot game is all about the free spin feature, and hitting that free spins bonus feature. Here is where, with your 3x multiplier, you’ll get the really big wins of the game. The return to player rate / house edge on this mobile slot machine is decent, mostly because the wins you can get on this medium volatility slot are equally appetising. You will need a little patience in the base game to hit those free spins however, so be sure to budget for at least a good 50 to 80 spins. It’s a simple but well formed mobile slot by Microgaming that probably deserves a little better than the theme allows. You really need to be a big fan of pink to enjoy it, but if you’re not, then you can always hop on over and play Thunderstruck. Wild Symbol: The Wild Disco Ball logo will substitute all symbols, except scatters. Any wins are doubled rather than the usual tripled multiplier associated with Microgaming. Scatters: 3, 4 or 5 half naked shot waiters symbols gets you 15 free spins. These can be retriggered and any win on a free spin pays 3x. This is the money maker of the slot. This mobile slot is one for the Ladies. Ladies Nite slot on mobile is on a great software and plays great on all the devices we tested, as we expected from any good Microgaming mobile slot. Make sure you have the budget to give this slot game a few spins as you'll need to hit the free spins to help you keep your wallet healthy. If you enjoy the occasional glass of Sambucca and some 80's cheese, give it a shot.